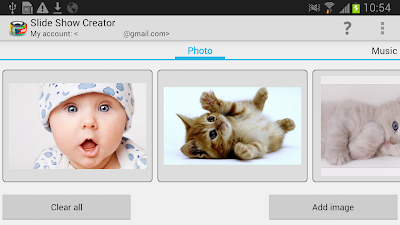 Requirements: Android 2.3.3 and up Overview: Create slideshows from your photos and add music! * With “cloud computing” technology you create and store your slide show "in the cloud", i.e. on our server. This frees up your phone memory and battery power is saved. Videos and slide shows are available from any device via the Internet.